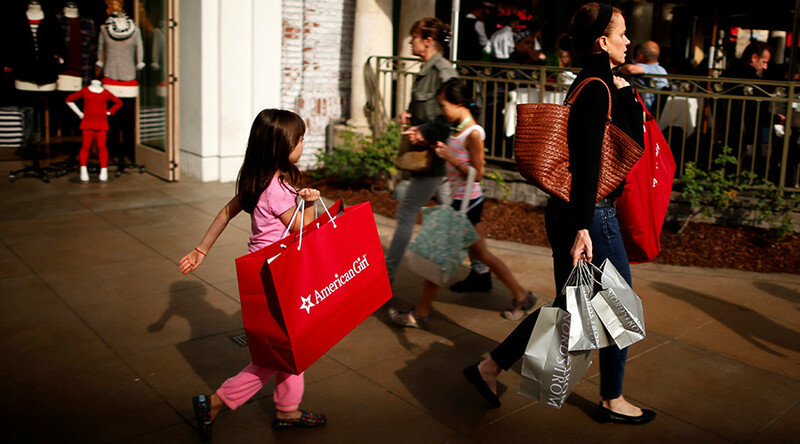 The American economy may soon plunge into recession, as consumer strength is showing signs of weakening, says Societe Generale strategist Albert Edwards. Consumption makes up 70 percent of the US gross domestic product. However, this support is "about to be kicked away,” the analyst said. "The only thing keeping the US out of recession is the US consumer. It is difficult to say consumption is driving the economy forward; rather it is like a wood, worm-ridden crutch creaking under the strain of holding up a dead weight economy. This recovery, the fourth longest in history, is surely nearing its end," Edwards wrote, quoted by Business Insider. According him, the current trend resembles 2007, when robust consumption tempered economic contraction in the first quarter, but by November the economy fell into recession. Growing inflation and higher prices will make consumers more cautious about their purchases, Edwards said. “One key and imminent risk for the consumer is a rapid pick-up in headline CPI inflation as the weak oil price of H2 last year starts to drop out of the yoy calculations. Headline CPI inflation is set to rise rapidly from the one percent where it has hovered for the past six months and to converge with core CPI, standing at 2.25 percent. That will sap some 1.25 percent from real personal disposable income growth, which will decelerate rapidly, removing the key prop for recent moderate robust consumption growth,” he said. A tight labor market may prop up wages, though, said Edwards. "But with the Fed confronted with a traditional end-of-cycle, tight labor market with accelerating headline CPI and wages, the pressure to hike rates aggressively will be fierce. Perhaps the next recession will be of the normal, made in Washington variety after all," he wrote.